Special Offer: Career Visioning After Loss - Futures in Motion, Inc. IMAGINE HOW YOUR LIFE WOULD CHANGE IF YOU TOOK ACTION TOWARD CRAFTING A NEW VISION FOR YOUR FUTURE. This program is for you if you have faced significant life changes that have shifted your focus toward having more meaning and purpose in your life. You've experienced a devastating loss and now that your life has stabilized, you're ready to explore meaningful career possibilities. ​Change is hard. At times the doubt and fear can be overwhelming. If you’re ready to take the bold, first steps, you don’t have to go through it alone. Take the next step in shifting your focus from obstacles to possibilities, work through doubt and fear and take action toward having greater meaning in your career. Are you at a career crossroads and not sure how to move forward? Get my free career guide to learn strategies and actions you can take to stop spinning your wheels and take action! About Futures in Motion, Inc.
© 2016. 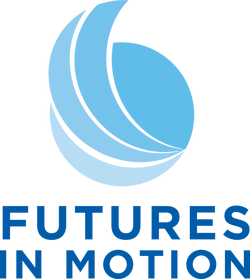 Futures in Motion, Inc.